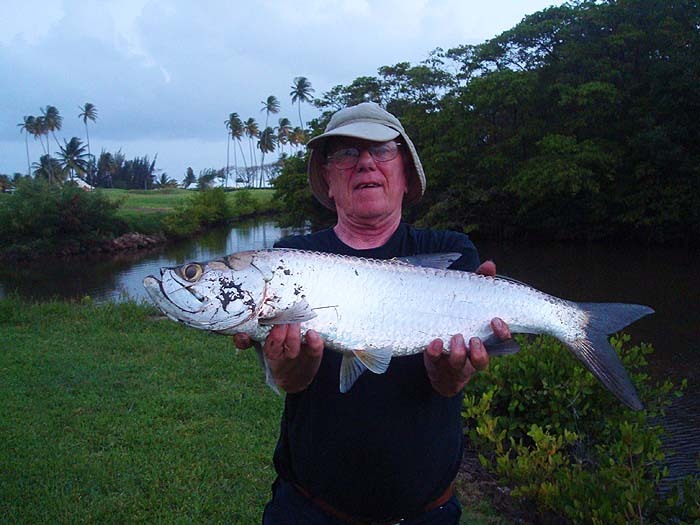 This is the second episode of my holiday fishing in Tobago. Our hotel happened to have excellent salt and brackish water fishing within minutes of stepping outside the door of our room. 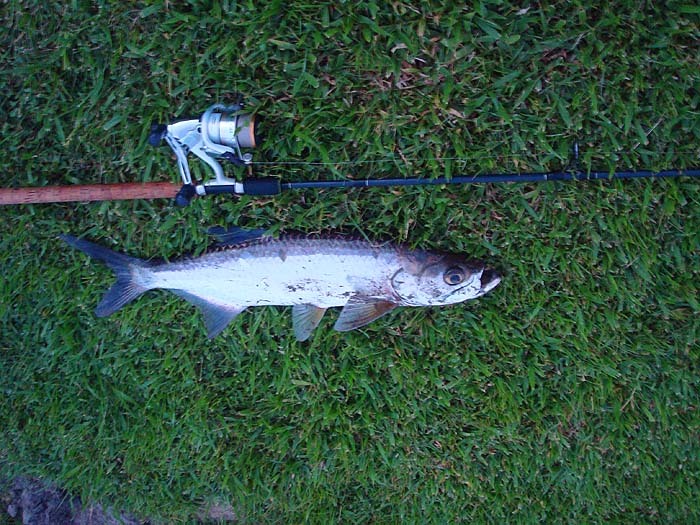 Last time I mentioned the jack that I caught from the beach and how wind and weed prevented a repeat catch. 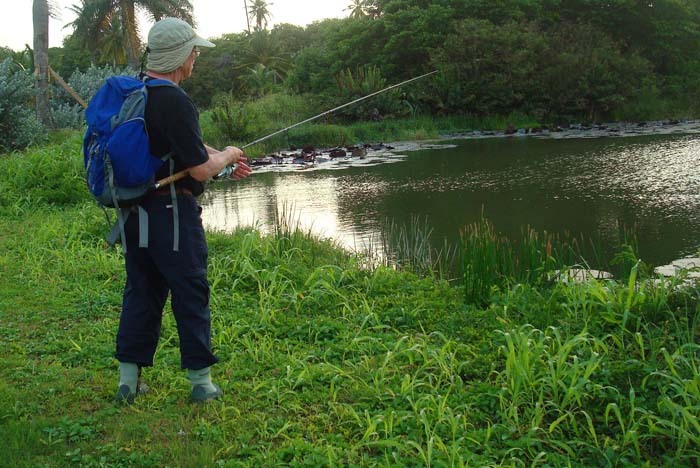 However, in the evenings I was able to fish various ponds in the grounds - very convenient. The ponds are periodically linked to the sea and I knew a little bit about the fishing in them from previous trips so, on my first evening, I picked up the fly rod (8wt, floating line, 6lb cast and small Delta eel exactly as though I was after pollack or mackerel in Dorset(I'm a creature of habit). It's all 'catch and release' but the fish are wild and the sport can be spectacular. Just before dusk I was on the bank and beginning to cast. The water was pretty shallow and the bottom was muddy. The far bank (10-15 metres away) was thickly lined with mangroves and as I waved the rod the water exploded with big ripples and swirls as fish (mullet?) rushed everywhere - encouraging! I didn't expect to catch the mullet but it suggested that other species were likely to be present. 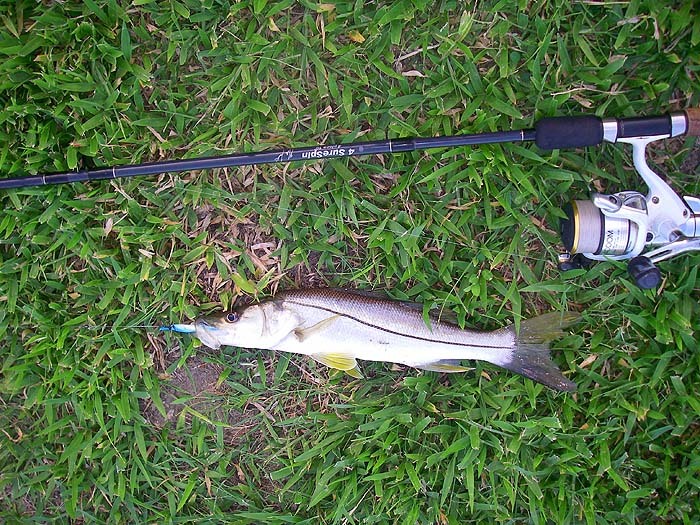 Sure enough it was only a minute or two before I had a bite and before long I was into a tiny snook. In the next half-hour I hooked and landed several of these lively little fish weighing up to perhaps a pound-and-a-half. Excellent fun. Most afternoons after returning from the beach, before my evening meal, I walked down to the ponds and fished a 'fly' (plastic eel) or did a spot of spinning as the light failed. In the shallowest pond plugs, sinking lures or flies were useless, as indeed was anything that fished more than about ten centimetres down because they instantly became clogged with algae. 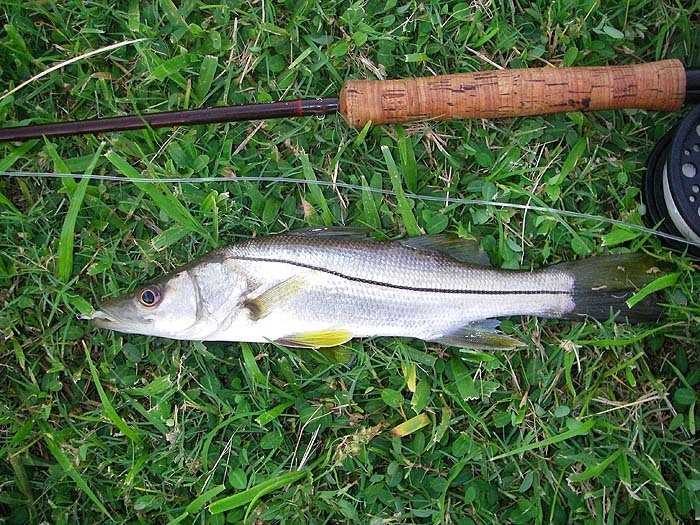 The most effective lure was a small Evo Redgill which I could flick under the trailing mangroves, retrieve instantly and, with the rod held up, keep clear of the bed. I had only one of these lures in my box and after three or four sessions it disintegrated due to the hammering it had from snook and tarpon up to about ten pounds. After that I struggled to catch decent fish in the shallow water. A larger pond, also close to the back of the hotel, was considerably deeper and had extensive growths of large red waterlilies. This stretch of water held an even greater variety of fish than the shallow one. 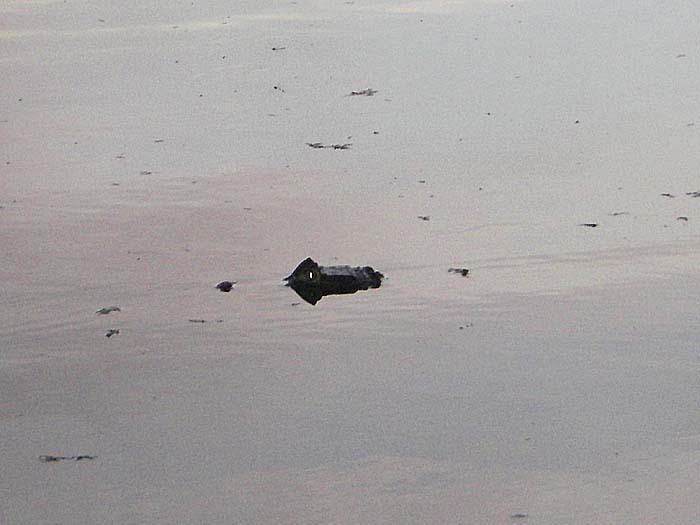 Snook, tarpon, snapper and tilapia were common and there were also numbers of small caiman (alligators) up to about one and a half metres in length. 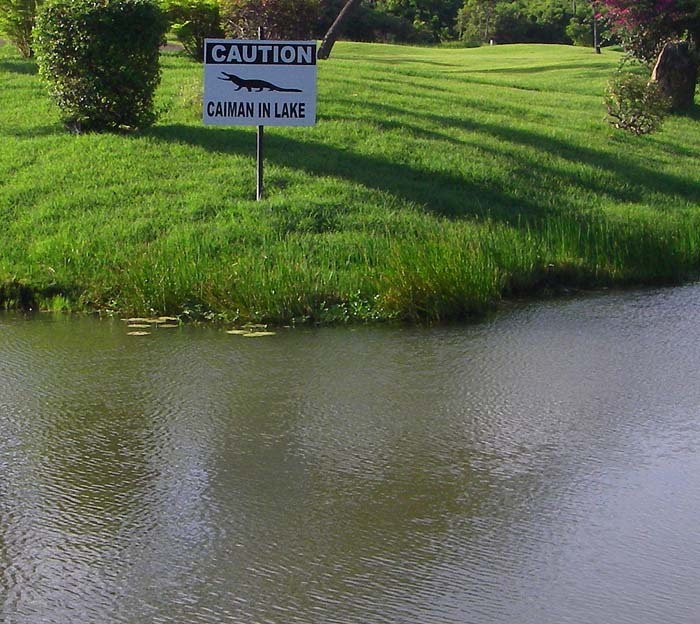 In the past I'd caught substantial numbers of snook in this pond by dangling a soft plastic in the margins (see Freshwater page 303 25-02-2010). 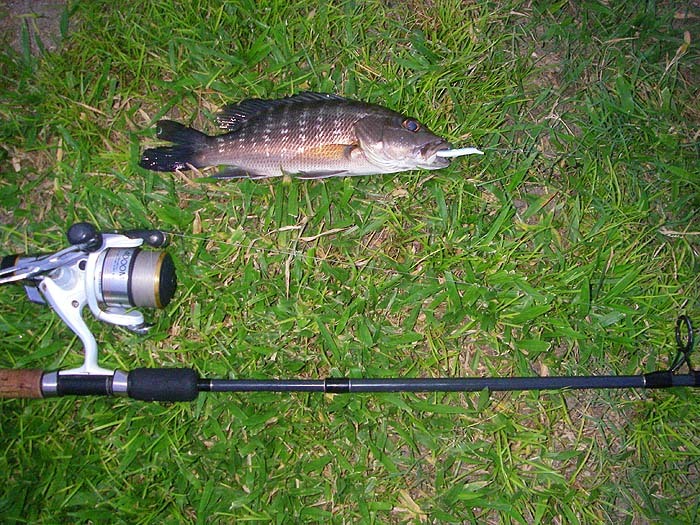 This time the margin fishing tactic was less effective than spinning with a 17cm, Pearl Evo Redgill. The latter produced a good tarpon of about 30lb which, after a powerful run and a couple of breathtaking jumps threw the lure. On the following day I returned and, because of a Government event at the hotel, I was followed by photographers from the local papers. They snapped a few pictures of me casting and as they were about to leave the Redgill was taken by a huge snook (12-15kg?). The fish fought like a tiger making run after run interspersed with thrashing leaps which evoked oohs! and aahs! 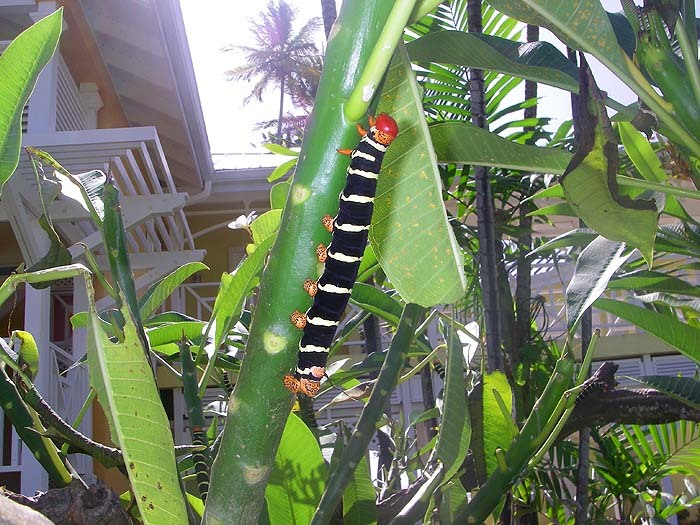 from my (growing) audience. 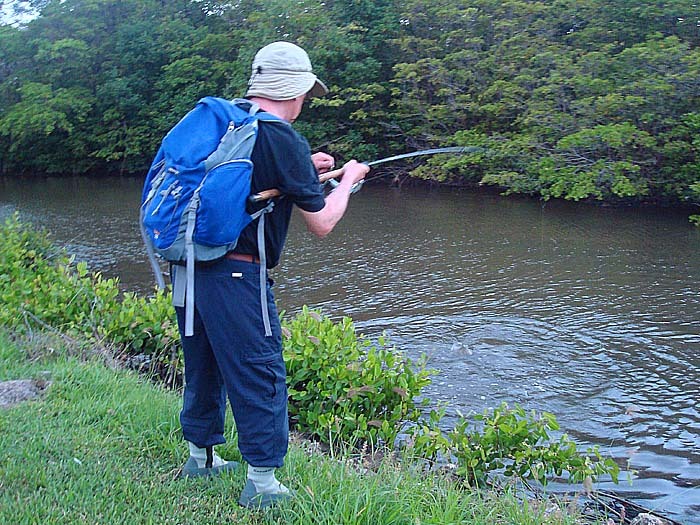 After about fifteen-minutes the fish was (I thought) tiring and I drew it towards the bank in the hope of lifting it out. I was wrong and it gathered its strength before plunging deep into the adjacent lily bed and pinging the 15lb wire trace. It took my only Redgill with it. I was gutted but that, as they say, is fishing. So, the lesson was to take a few spare lures of EVERY type. The best fishing of my trip was yet to come so more next time.